Have you been to Lee Canyon? If you're just learning how to ski, then you probably don't have your own gear. Renting a set of skis, boots, and a helmet (you'll want one) will run you roughly $30 to $40 at a local Christy Sports. Then, you have to get a lift ticket. At Breckenridge, an adult lift ticket on Saturday (purchased a week in advance) will run you $157. Next, you'll need a lesson -- yes, we said need -- and that runs $135 for a full-day lesson. So you're looking at $334 just to ski a bunny hill. Plus, if you were the one who drove and you end up buying lunch on the mountain, you could easily be looking at a figure closer to $400 after food, gas, and parking. Skiing also takes a few days to get used to, which means that $400 is conservative. That's why we'll let you in on a little Colorado native secret: Go to Monarch Mountain, which offers a lift ticket, rental, and full-day lesson for $139. Don't want to drive that far? Loveland offers a similar package for $149. Or, if you really want to get crazy, but still spend less money than you would at Vail or Breckenridge, just fly to Vegas. 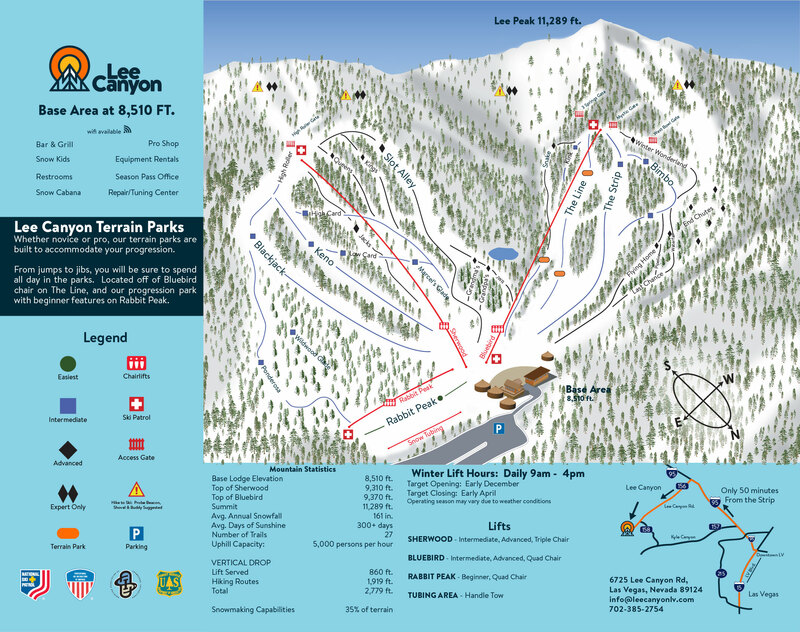 Seriously, we've just been turned onto a ski resort out there, Lee Canyon, and it looks absolutely amazing. There, you can purchase 'The Snow Experience,' which at full price is $119, although their website says you can save up to 25 percent when you book online. The best part? The package includes your rental gear (helmet a bit extra), your lift ticket (adult full-day), and some introductory instruction. Let's face it, regardless of where you're going to ski, you're not going to ski more than green runs ... so why pay to go to Breckenridge? Save that for when you're a bit better. Until then, you can fly to Vegas, learn how to ski, have some additional fun, and come home all for less than you can learn at Breck! What are your thoughts? 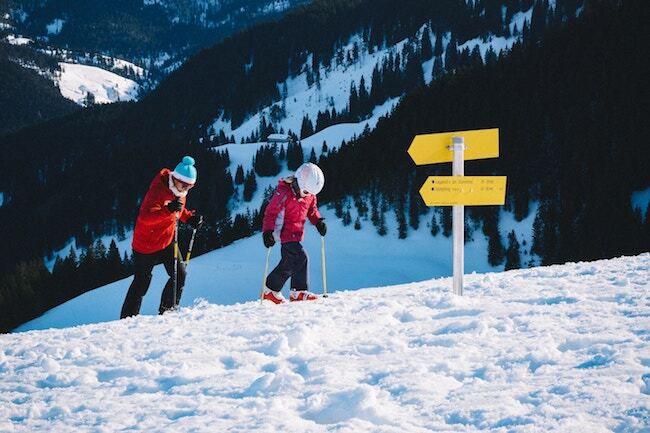 Where did you first learn how to ski? If so, how was it? Let us know in the comments below! These are our top 4 aprés-ski spots in Colorado!